Twenty years ago, researchers made the accidental discovery that plastics ingredient bisphenol A (BPA) had inadvertently leached out of plastic cages used to house female mice in the lab, causing a sudden increase in chromosomally-abnormal eggs in the animals. 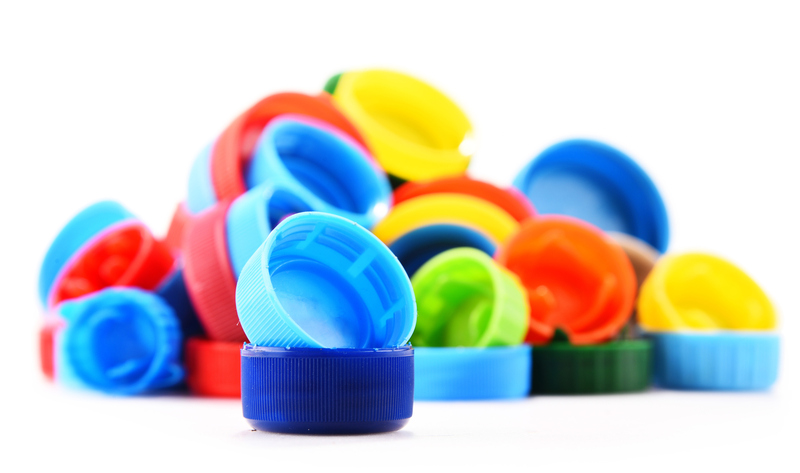 Now, the same team reports that the array of alternative bisphenols now used to replace BPA in bottles, cups, cages, and other items appear to come with similar endocrine-disrupting problems for their mice. They say more work is needed to determine whether some replacement bisphenols might be safer than others. Funder: Support for these studies was provided from NIH grant R01 HD083177 to P.A.H. and R56 ES13527 to P.A.H. and R.G. The new findings were uncovered much as before as the researchers again noticed a change in the data coming out of studies on control animals. Again, the researchers traced the problem to contamination from damaged cages, but the effects this time, Hunt says, weremore subtle than before. That's because not all of the cages were damaged and the source of contamination remained less certain. Professor Ian Rae is an expert on chemicals in the environment at the School of Chemistry at the University of Melbourne. He is also an advisor to the United Nations Environment Programme on chemicals in the environment and is former President of the Royal Australian Chemical Institute. Bisphenol A (BPA) is known to be a hormone mimic. The activity is modest, but BPA is widely used in plastics and other materials and we are all exposed to it in one way or another. Because the effects are chronic (slow to develop) and BPA may affect different people in different ways, it has been hard for regulators and even harder for consumers to assess the risks we may be facing. Most regulators have judged that the toxic effects are below levels of concern. Some manufacturers, perhaps sensing that bans might be imposed or - to take a more nuanced view - that consumers might respond to concerns expressed by others and avoid BPA-containing products, have taken cautious action. Some actions involve the use of materials that do not require the addition of BPA, but others mean turning from BPA to alternatives that can provide the same actions as BPA. A publication in 2016 in the top international journal, Environmental Science & Technology, investigated the toxicology of a number of these alternatives in a number of bioassays. Most were considerably less active than BPA itself, but just a few (not the ones described in the present article in Current Biology) were more active. The authors of the Current Biology article did not reference this 2016 article: if they had done so, they would have realized that the effects they detected might have been ex[ected. The idea that additives like BPA can be released from the plastic matrix when the plastic is aged by heat or light, or mechanically damaged, is not new either. The authors are correct in saying that the implications for human health are unclear, although that is rather begging the question, and also correct that many new industrial products are never tested for chronic toxicities before they are introduced. The regulatory world is getting tighter, especially in Europe and also in Australia, and both jurisdictions are tackling legacy problems like the ones typified by BPA and its alternatives. It is perhaps not surprising that chemical compounds that are structurally similar can act in a similar way and things that chemically 'look like' BPA may have similar effects, indeed this study is not the first to show this to be the case. BPA itself has been around since the 1960s and is one of the most studied chemicals on earth, with thousands of scientific papers published on it. However, nobody has ever proven it causes harm at the levels to which people are normally exposed to it. Indeed, it is known to be metabolised and excreted by the body very quickly. Public concern over BPA has led to the generation of a whole family of BPA replacers including BPF BPAF, BPE and BPS. These are chemically very similar to BPA but have not been as extensively tested for potential health effects, so further study in this area is welcome. The present study is very interesting and conducted by well-known and respected researchers. However, the number of animals used in the work is very low and the animals themselves were very inbred. It should also be remembered that mice are not mini humans. Some chemicals that cause problems for them don’t affect us at all. For example, Aspirin causes birth defects in most rodents, but not in humans. While this is very clever work, I don’t think people need be alarmed about these results. Associate Professor Samantha Richardson heads the Comparative Biochemistry and Endocrinology Laboratory in the School of Medical Sciences at RMIT University. The paper by Horan et al. highlights an extremely important issue that is not sufficiently recognised by the public. Chemical companies many no longer use BPA in plastics but they substitute very similar chemicals with different names, that have almost exactly the same function – in both manufacture of plastics and in harm to the environment and metabolism of animals, including humans. These are called 'structural analogues' which means that they have almost the identical molecular shape, so can have the same interactions with other synthetic or biological molecules. Take for example morphine. This is a compound of the opioid family which was originally discovered in plants. However, it binds specific receptors in the human brain to alleviate pain. How can this be? Why would the human brain have receptors to a chemical made in plants? Morphine is a 'structural analogue' of naturally occurring chemicals in the brain called endorphins, which are released to reduce the perception of pain e.g. after extensive exercise. Medicine exploits structural analogues in designing drugs to control metabolism and assist in prevention of disease progression. However, structural analogues can also be toxic to humans, other animals, plants and the environment. These include chemicals used in plastics, fire retardants etc. These chemicals are structural analogues of naturally-occurring compounds in the body that are very tightly regulated in the amounts made by the body and where they are released in the body. The structural analogues in plastics e.g. BPA disrupt the normal metabolism resulting in disease and long-term effects such as those described by Horan and colleagues. If chemical companies decide to make a structural analogue of BPA so they can label their plastics 'BPA-free', they are actually making the whole situation worse, because the structural analogues they use to replace BPA are still structural analogues of the naturally occurring compounds and the 'BPA-free' labelling is encouraging people to buy more of these products.